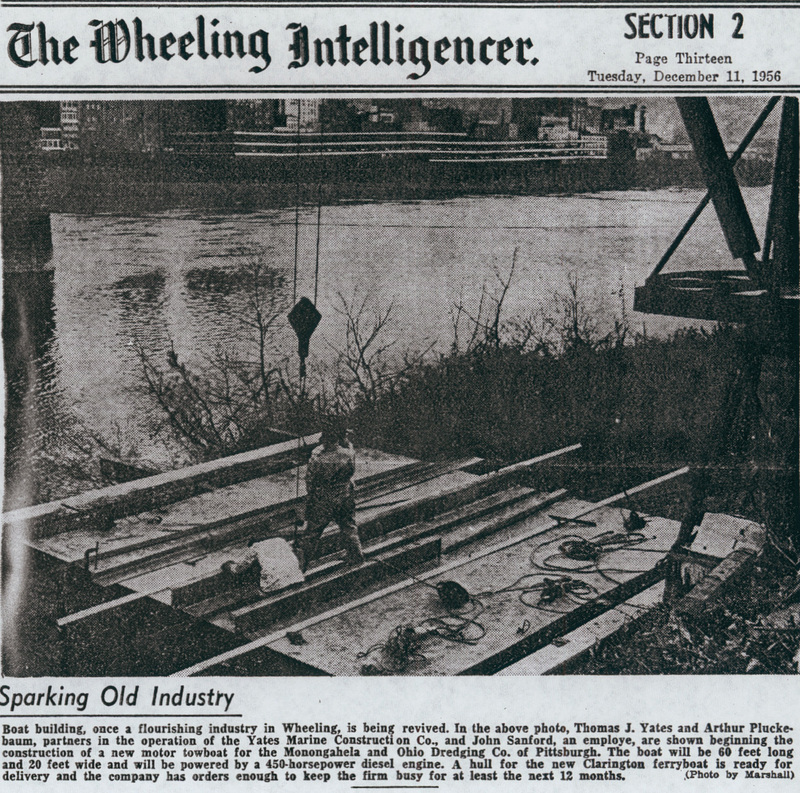 In 1953, YATES MARINE CONSTRUCTION CO. (Yates, Thomas ‘Jack’ and Pluckebaum, Arthur) began building diesel towboats, ferry flats and barges in Wheeling, (Wheeling Island) West Virginia. Yates and Pluckebaum had worked in the Louisville, Kentucky, Jeffersonville, Indiana boat yards, and in 1953, they decided to go out on their own. That year, they came to Wheeling where they established a boat yard on Wheeling Island, and it was here, they built the following boats. RAY L. was built in 1953 as a steel-hulled single prop Motor towboat with a Ford marine gas engine for Larry Geisler, of Duffy, Ohio length 30’ width 10’ hull depth 2’. RAY L. had her name changed to WAHNETIA in 1967 and was not listed in 1968. SHEILA was built in 1953 as a steel-hulled single prop Diesel towboat with a General Motors 165 hp Diesel engine for the New Martinsville, Ferry Co., which operated its ferry service from New Martinsville, West Virginia. RIDES was built in 1955 as a as a steel-hulled single prop Diesel ferry towboat with a 180 hp Cummins Diesel engine for the Sistersville Ferry Co. which operated its ferry service from Sistersville, West Virginia to Fly, Ohio. In the 2010s plus SHEILA was an AEP towboat at their West Virginia Mitchel Power Plant. CHRISMOR was built in 1956 as a steel-hulled single prop Motor towboat with a 100 hp Ford marine gas engine for the Shippingport, Pennsylvania Ferry Co. CHRISMOR was no longer listed in 1982. NORTH STAR was built in 1956 as a steel-hulled single prop Diesel towboat with a General Motors 6-71 250 hp Diesel engine for the North Star Transfer Co. of Pittsburgh, Pennsylvania where she was completed. North Star’s length was 50’ and width 12’. In 1955, Jack Yates recruited an experienced boat welder John Lee Tripp-Sanford who he had known and worked with in the Louisville, Kentucky boat yards. 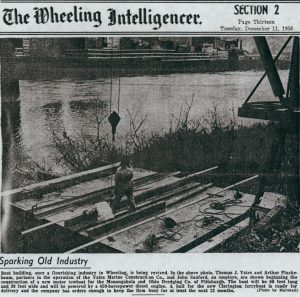 Sanford joined Yates in 1955, and here in this Tuesday December 11, 1956 Wheeling Intelligencer newspaper article titled ‘Sparking Old Industry’ we see John Sanford welding together the Diesel towboat BOAZ. 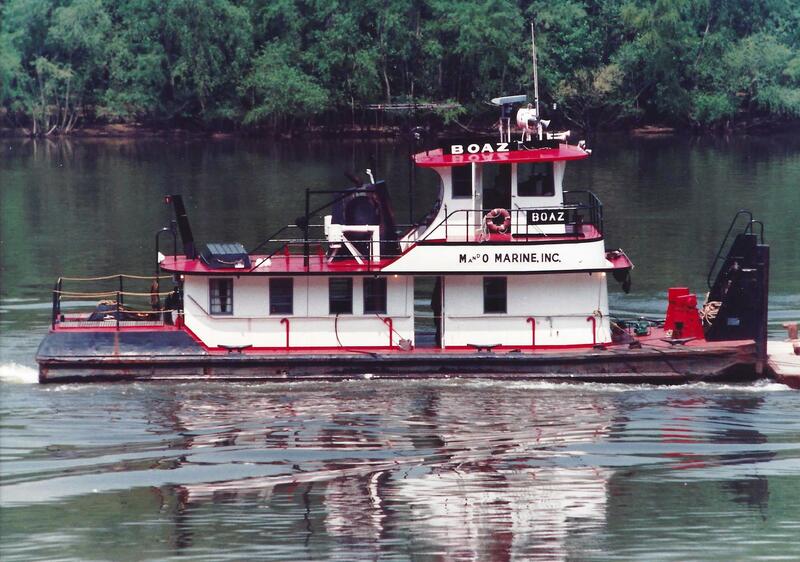 BOAZ was built in 1956-1957 as a steel-hulled twin prop Diesel towboat with two General Motors Diesel engines developing 450 hp for the Monongahela and Ohio Dredging Co. of Pittsburgh, Pennsylvania. Boaz, length 60’ width 20’ hull depth 7’. RANDY was built in 1957 as a steel-hulled single prop Diesel towboat with a General Motors 3-71 100 hp Diesel engine for Rosswell E. Ruble of Powhatan Point, Ohio. Rosswell named the boat for his son, Randy. 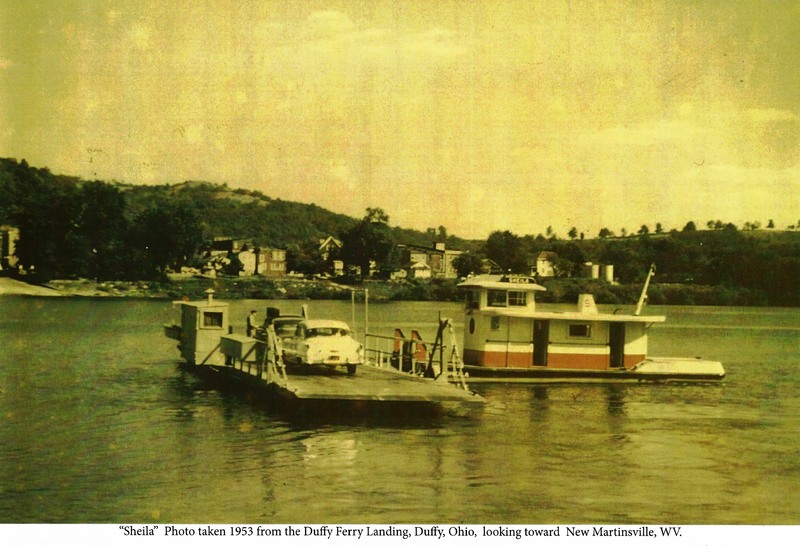 Ruble owned the Moundsville Ferry Co. and ran ferry service from Moundsville, West Virginia to Dilleys Bottom, Ohio. Randy, length 30’ width 10’ hull depth 3.5’. PAM was built in 1958 as a steel-hulled single prop Diesel towboat with a General Motors 3-71 100 hp Diesel engine for Rosswell E. Ruble of Powhatan Point, Ohio. Rosswell named the boat for his daughter, Pam. 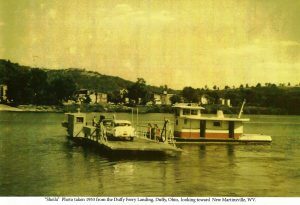 Ruble ran Pam in ferry service from Moundsville, West Virginia to Dilleys Bottom, Ohio. Pam, length 30’ width 10’ hull depth 3.5’. 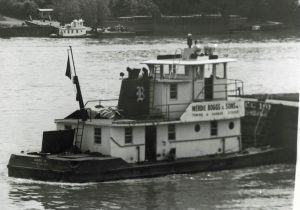 MARK M. was built in 1959 as a steel-hulled twin prop Diesel towboat with two Caterpillar D-235 Diesel engines developing 800 hp for Merdie Boggs & Sons, Inc. of Flatwoods, Kentucky, and to Catlettsburg, Kentucky. MARK M., length 55’ width 20’ hull depth 6.5’. 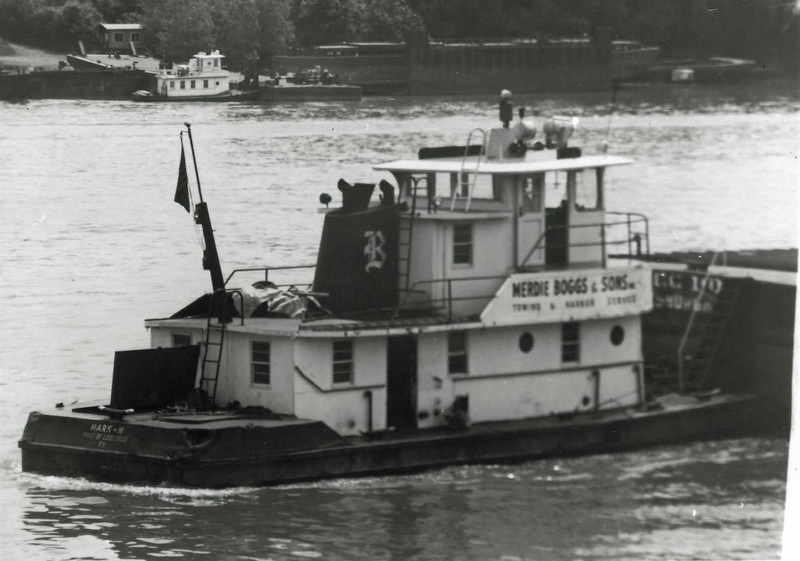 FRANKLIN B. was built in 1961 as a steel-hulled twin prop Diesel towboat with two Caterpillar D-353 Diesel engines developing 760 hp for Merdie Boggs & Sons, Inc. of Catlettsburg, Kentucky who did some completion work on the boat. FRANKLIN B., length 59’ width 20’ hull depth 6.5’. David W. Evanczyk, CEO and founder of MARINE BUILDERS, INC. Jeffersonville, Indiana began his boat building career in Wheeling in the 1960s with YATES MARINE CONSTRUCTION CO. 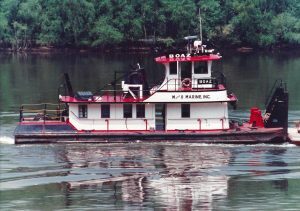 In 1965, Yates had done design work for the Mountain States Construction Co., Inc. South Charleston, West Virginia (in 1965, Yates designed the Mountain State Diesel towboat). Jack Yates in 1967, left Wheeling, and moved to the Mountain States South Charleston boat yard. 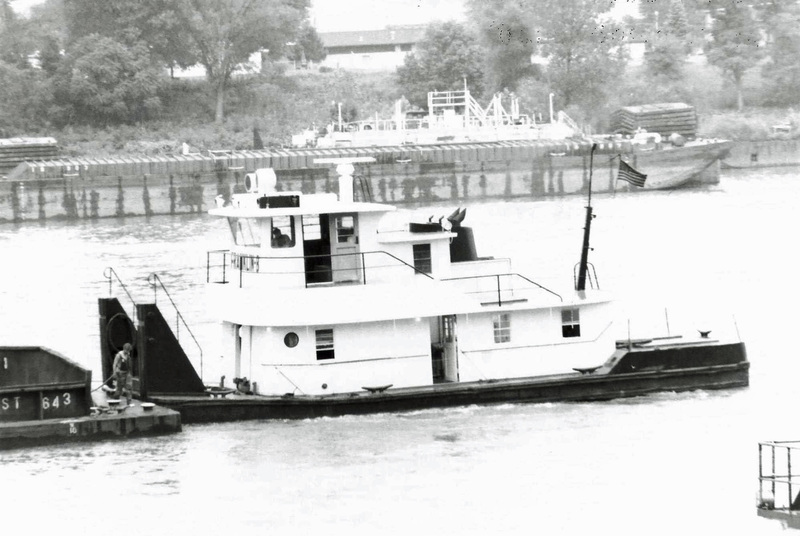 In 1967, as YATES MARINE CONSTRUCTION CO. he built the MACK GAMBLE and the TOBY C. In 1968, he built the MAX K. the ROUSTABOUT, and the WILBUR H. RUESE. Yates moved to 1414 Maccorkle Ave. SW Charleston, West Virginia, January 12, 1968 where he continued the business of boat building for many years. Source: Way, Frederick, Jr. Editor, 1955 and 1970 INLAND RIVER RECORD 121 River Avenue Sewickley, Pa.
Thankyou for your sound advice on what is usually a forgotten topic. Is it okay to share this with my group?